October is the month of birthdays in my family. We start end of September and end at the end of October! This cake will soon be on repeat as the birthdays come closer! 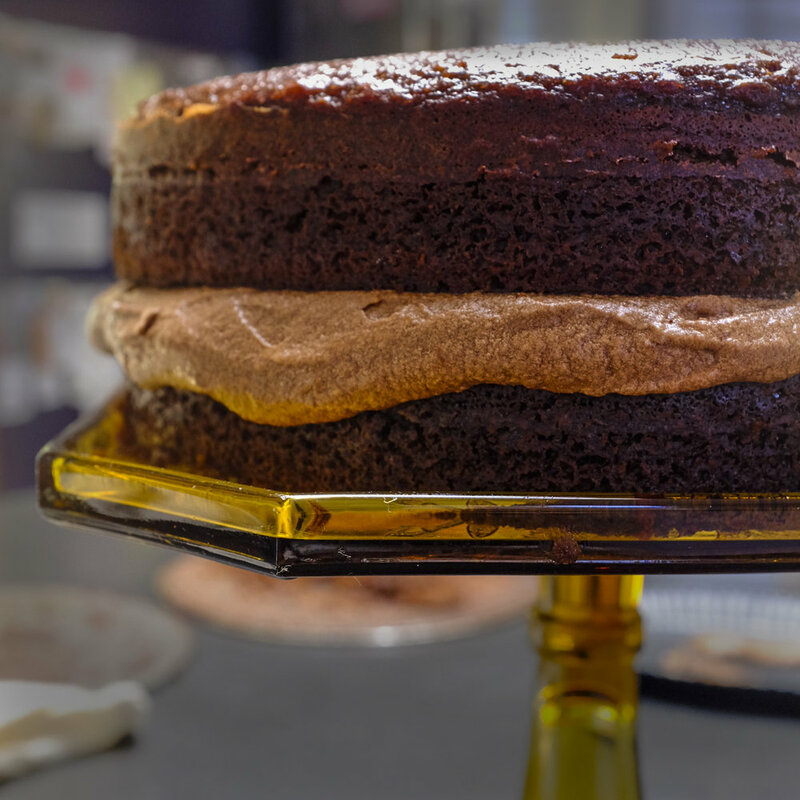 Its perfect for the chocolate lover and satisfies all your cake cravings! This cake is moist like a box mix cake, but tastes like its from a bakery! Its a must make if you are trying to entertain your guests! 7. The batter should be super wet and runny---this makes the best cake ever! 18. Place your second layer on top of the frosting and frost the remainder of the cake evenly! 19. I did a naked side cake, if you wish to frost the sides use your frosting on the sides and spread evenly! Share your creations on Facebook and instagram! Tag @front__paige!